This web design and development project was done in Magento. The site was of course designed to be responsive but was also developed to include a custom ‘enquiry cart’ feature to replace the normal shopping cart functionality of an ecommerce site. The project was then taken a step further by setting the client up with a custom eBay store that was integrated with the Magento backend. This enables to client to add products from their machinery range to their eBay shop directly from the Magento back end. Naturally the site was also developed to include SEO features and also provide strong calls to action in order to engage with their potential target customers. 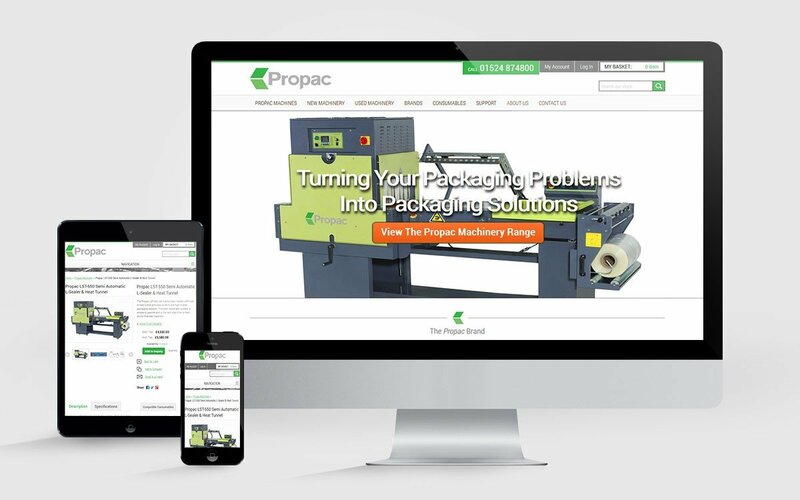 The site can be seen at www.propacmachinery.com.